I delve this week into a thorny subject that has distressed much of the Armenian world: The uproar generated by the highly critical and harshly-worded letter posted on the internet by the Armenian Patriarch of Jerusalem Nourhan Manougian addressed to His Holiness Karekin II, Catholicos of All Armenians. 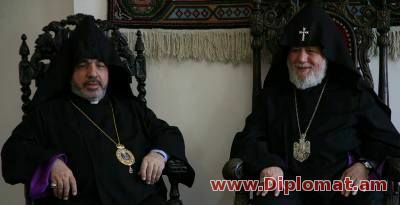 The Jerusalem Patriarch’s lengthy letter contained two specific complaints: His understanding that at a meeting last September in Etchmiadzin, there was a discussion about converting the historic and autonomous Patriarchate of Jerusalem into one of the Dioceses of the Mother Church. The Jerusalem Patriarchate is one of the four Hierarchical Sees of the Armenian Apostolic Church, along with the Catholicosate of All Armenians, Catholicosate of the Great of Cilicia, and the Patriarchate of Istanbul. Patriarch Manougian’s letter also complained about Karekin II’s refusal to ordain Father Baret Yeretzian as Bishop, at the request of the Synod of the St. James Brotherhood of Jerusalem. One possible solution is creating a democratically elected Diaspora-wide body that can truly represent the seven million Armenians throughout the world, outside Armenia and Artsakh. These Diaspora representatives, in conjunction with the leadership of Armenia and Artsakh, can claim to speak in the name of all Armenians worldwide. Whenever a crisis arises, this trio would have the authority and standing to settle all political, ecclesiastical and socio-economic discords among Armenians as well as defend the nation from external threats. 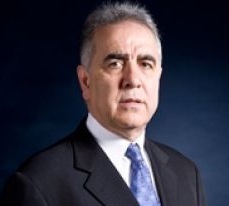 In the absence of such a worldwide elected entity, the existing Armenian Genocide Centennial Committee should be restructured so that after next April it can coordinate all significant issues with leaders of Armenia, Artsakh, and major Armenians organizations, along with some notable personalities.